Help me keep my sanity. I stopped at local dealer today and they have a 05 FZ1 with about 10,000 on the clock. Extremely tempting, I can not justify 2 bikes. Both son just got new R bikes one an R1 and the other an R6. I really need a new bike to keep up, right? Well... I think the concours is about even with my R6 up to about 3rd gear on the concours or 2nd on my R6.... Unless I realy want to tear it up lol. I had an fz6 for about 10 months before I got a cruiser and a connie. I had a good seating position and great torque. 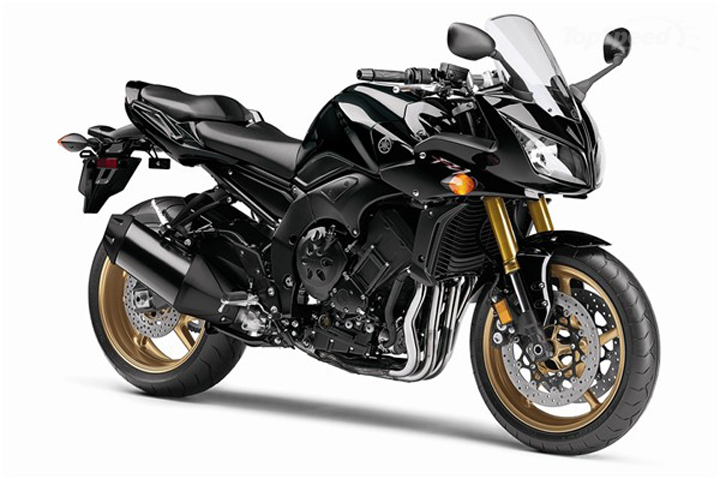 the fz1 is a whole other beast. Just be sure you like the half fairings (most people go naked and they look AMZING), but the resale on the is very poor, people dont want a SPORT touring sport bike, they want an r6 or more. Oh btw the fz6 had an R6 engine in them so I dunno if the fz1 has an R1 in it or not. I am the proud owner of an '05 FZ-1 and it is a great all around bike. If you're primarily riding one up it makes for a great sport touring mount. Up to '05 it had good, old fashioned, by God carburetors and a steel tube frame. It actually lost some power after the update and they shrunk the fuel capacity by about a half gallon. You can probably get one for a good price and can be reasonably sure it wasn't abused, unlike most sportbikes on the used market. I put on some SW Motech quick release bag mounts and run Givi hard bags and a trunk. When I get to where I'm going I pop off the bags and mounts and go back to sport mode with just the trunk. You wouldn't even know it had bag mounts. The motor is actually a detuned circa 2000 R1 motor and even in stock trim is plenty powerful. It did run a bit rough down low though. I put in an Ivan's jet kit, K&N filter, Akropovic CF street legal (well in Europe at least.. ) exhaust. Had it dyno tuned and now its pulling 131 hp and 75 ft/lbs at the rear wheel. More than enough... It also took care of some of the carburetion problems. I'm 6'1" and a not quite svelte 235 lbs and it fits me quite well. I find the half fairing actually gives decent protection when paired with a taller shield, a Givi in my case. I'm closing in on 24k miles with no major mechanical problems (knock on wood! ). First valve service is 26k and ya can't beat that! All in all a great mature (ahem...well semi-mature ) riders mount.